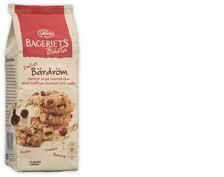 I love it that Göteborgs Kexfabrik has put the recipe for its Bageriets Bästa cookies on the packet. It makes you feel great, like you’re trusted, like you’ve been let in on a secret. Like Kexfabriken wants to be friends. What it doesn’t make you feel, I think, is a need to get the bowls and spoons out and start baking. That’s why this is such a great decision – you feel good about having the recipe, but it won’t make you buy less cookies. Somehow it feels like now that you have the recipe, you’re quite happy for them to do the baking. It reminds me of a story I heard on one of my favourite radio shows, This American Life, about apologies. For a long time, there’s been a kind of taboo on doctors expressing regret about patients who die, because it was thought that it would be taken as an admission of responsibility by the relatives, and law suits would follow. Now, however, there’s a new movement that encourages doctors to express sorrow and even apologise if they were in some way involved with a failed treatment. Are relatives suing them? Quite the opposite. There are far fewer law suits over this kind of thing than there used to be. Doctors being open about their responsibility makes people less aggressive, not more. Trust is repaid with… trust. Bageriets Bästa is a great example of this theory applied to marketing. Being open with your information doesn’t make people want to rip you off, it makes them like you. Withholding makes people resentful. In order to get your customers’ affection and loyalty, you have to trust them. What could Kexfabriken do to live this strategy in other areas of their marketing? It seems to me that they are treating Bageriets Bästa as a separate brand to their other biscuits and cookies, which I can understand but in terms of a principle of openness as a marketing strategy, it would be better for the entire company to commit. I’ve never been a fan of giving away product for marketing purposes, except if you’re giving to people who really really need it – for example, Procter & Gamble giving Dawn dishwashing liquid by the truckload to the oil spill cleanup effort after the Deepwater Horizon disaster (of course, the ad they got out of it must have been the most convincing dishwashing liquid ad ever made). But there’s other stuff you can give away or offer to the deserving – jobs, expertise, partnership. Vine is great. Everyone agrees it’s great – everyone can make movies! All you need is your index finger! It’s a revolution! Etc etc etc. The interwebs is filling up with lists of the most amazing, beautiful, funny and staggering Vines, and everyone is assuming that Vine is some sort of natural progression from Instagram, because the images move, which is of course cooler than still. But I bet a lot of those people who are so excited about the platform haven’t actually made that many vines themselves. Because once you start, it takes you about five minutes to realise that making a great vine is hard. It takes lots of time and effort. Everyone is predicting great things for Vine. But I wonder. Vine is not Instagram. Sure, anyone can point their phone at something funny that’s happening, and sometimes the results will be watchable. (And sometimes they will be fully average.) But only a few people are going to have the skill, the time and the patience to make those truly amazing vines that everyone is swooning over. Vine might become more like TV, where a few skilled producers have huge audiences, but the barriers to becoming a producer yourself are actually quite high. That means that brands are going to have to collaborate with specialist producers in order to compete. Which in turn means that good viners will become the new bloggers, lending, or rather hiring, their platforms out to the highest bidder. Which means that Vine will become yet another platform that’s more about buying power than about personal expression. A friend and I have been talking about the emotional cost of having relationships. Not just romantic ones – the relationships you have with your family, friends and colleagues also have an emotional cost. Conflict, sometimes unresolvable, is part of any relationship and living with that as best as you can costs energy and emotion. Unless you want to be a hermit, that’s the deal. This may be a totally commonplace observation, but isn’t part of the reason that social media are so popular that they reduce that emotional cost of relationships? Not that there isn’t conflict on, for example, Facebook – anyone who’s spent any time on failbook.com knows that there’s plenty of fighting (read: flaming) out there. But for most of us Facebook offers all the good things about relationships, with most of the bad ones left out. We can be social, have relationships, be part of a group, but the conflict is minimal, not least because positive statements, achievements, celebrations and expressions of joy form the bulk of Facebook posts. This isn’t all good, of course, there’s such things as jealousy, performance anxiety, and feelings of inadequacy. But on the whole, I think a lot of Facebook’s appeal lies in the “cheapness” of the connection you get – even though the quality of that connection may be no more than exactly what you have paid for. Falu Rödfärgs current campaign is either a total misfire or devilishly clever – either way it leaves me cold. I don’t get it. An American actor mispronouncing the name of the product? Huh? Falu Rödfärg is a product absolutely packed with meaning. Yes, it’s old, but it is full of emotion. Falu rödfärg makes me think of home, of Sweden, of beautiful rural landscapes, of hardworking men who, even after toiling hard to build a homestead, have a little energy left over for the look of the place. Of the resourceful repurposing of a byproduct of an ancient industry. It’s a thousand postcards and amateur oilpaintings, it’s storybooks, villages, community, home. It’s identity. It’s advertising gold, surely. And all they come up with is an American actor mispronouncing Swedish, a trope that has cropped up in at least three other ads I can think of in the past few months? I have some friends who have very specific tastes, for example in music, or books. One reads only science fiction and fantasy, and another describes “urban music” as an interest. Lately I’ve realised that this provokes a certain reaction with me, and when I took a closer look at that reaction, and poked it in the side with a stick, it sat up and declared itself to be a form of impatience. I thought about my own tastes, and the tastes of people I respect, and I formulated the following hypothesis: The understanding of a “taste” as synonymous with a genre is typical of teenagers, those dogmatic, inflexible beings. In our teens, we draw a lot of comfort from aligning ourselves with clearly defined groups, and those groups are useful to us in defining and expressing our identities. “Taste” in music becomes a convenient but simplistic shorthand for categorising people. But I think, for an adult, “taste” ought to be by quality, not kind. The people whose taste I respect have interests that range widely, and they’re not afraid to explore outside their current experience and habits: They love Leonard Cohen, but if a great piece of African folk music, rap or opera comes along, that’s brought into the fold alongside everything else. It is the quality of the music, its authenticity, skill and feeling, its meaning, that matter, not whether it sounds a lot like what you already know. Music, and books, and films, and art, can surely be about identity. But to use it that way is exactly that, to use it, not to understand or appreciate or really love it for itself. Great music, literature and film have value in themselves, they say something true, something that’s relevant to all of us and not just to you, and if you’re just after an identity badge, you miss out. And truths like that, meaning like that, can be found in all genres and types of art. Restricting yourself to one genre of anything is comfortable, but childish. That’s why I immediately feel slightly exasperated when someone talks about art or media in those terms. I’m not sure, though, how far this actually goes. Could you extend this theory to other means of expression? Clothes? Cars? Television? If not, why not?